I’m Timothy Marois – this is my initial post and a brief intro about me. I built this website back in 2007 when it was used as my online portfolio and résumé for many years. I have decided this year to expand the website and share a lot of the coding resources and tips I’ve picked up over the years. A few years ago, I created two Instagram accounts @timothymarois and @codingview. This also started the new hashtag #codingview. There were a couple of us that started this trend where each week we’d post a new picture of our Macbooks with an unusual or scenic view. Now, it seems like it’s grown quite larger than I originally thought it would. Developers all over the world have continued this concept. Throughout the time I was active, I would receive many messages from other developers looking for advice or coding mentorship. This inspired me to create a blog or orignally, write a book. I was really busy with work-related projects and did not have the time to pursue it. I have decided I will do something bigger this year. I want to share a lot of what I have learned and the challenges I’ve faced as a developer. I have created this blog with the hope I can help others, and create a community to collaborate with like-minded people. Incredible view watching the sunset in Rhode Island. Every chance I get I'm pushing some new updates, I usually work on 3-5 different projects depending on motivation and time. Lately, however, I've been doing a lot of traveling; within the last six months I've been to 3 different destinations and aiming for Mexico to be the 4th. Have an awesome day! When I was younger, I’ve always wanted to entertain people. My role in life grew further away from the spotlight and instead behind the scenes. Here is my short story. It all started with building games. My most notable game was Road Master. It was similar to a platform game where you run on a flat 2D board and jump other cars. The objective was to escape the police. 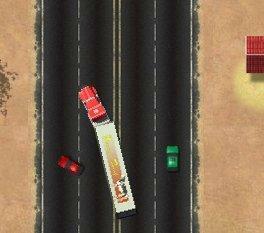 What made this game unpredictable was the way I designed how the police drove on the map. You couldn’t predict where or how fast they could drive. The game had no end. The player could continue until they got caught, racking up the highest score possible. We would burn these games onto CDs and pass them out in school. As you can tell, that was very narrow and limited audience. Was the Flash version of the game created by Adrian Toma. He altered the game objectives and instead used a top view of the car instead of the side. Unfortunately, due to Microsoft Windows updates, these “exe” games are no longer playable in today’s current operating systems. I began experimenting with websites to promote these games. The first site I built was called TMJR Studio, and then the company LTcolor, Inc was born. Building websites has changed my life forever, and to this day, I have focused all my time and energy using web technologies. For a couple of years around 2007, I shifted into designing websites for clients, which included many local companies and organizations in Rhode Island/Massachusetts. 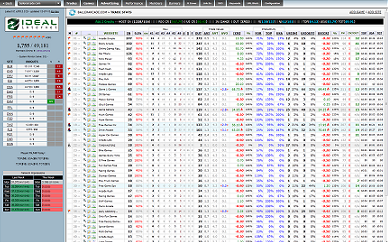 In 2009 – I built a trading algorithm called NATE (Network Auto Trade Engine). This engine would decide the value of each site visitor and send them to a partner website in real-time based on the current exchange rate. January of 2010 – I moved to Charlotte, North Carolina to help build a content marketing agency with a few online friends. I worked with Ideal Internet and implemented a new version of NATE called Ideal Core. This version was incredibly sophisticated for the time and the exchange was a hundred times the previous system reaching over 1.5 million users a month. Around 2012 – I joined forces to help create a new Advertising Platform, SpendReturn. I developed the client facing interface and backend optimization system. 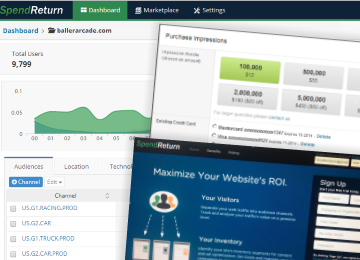 SpendReturn was to help website owners maximize their ROI by dynamically optimizing content on their pages. After 2014, I have worked on many more projects and contributed to the success of different companies, I will highlight a few of them below. FGT: (2015 – 2016) I worked with an amazing group of people at Fast Growing Trees. I helped them create an internal customer management database and sales interface for one of the largest online sellers of trees. Square Media, LLC: (2016 – present) – I am the senior developer managing and leading all development needs for the company. Grayscale, Inc: (2017 – present) – I joined forces to create a new Digital Marketing Agency. I am currently the CTO (Chief Technology Officer). If you want to see what I am currently working on, subscribe below. I will split this website into two sections. Most of you are probably here for the coding stuff, so I will keep it as relevant as possible. The first category, I will discuss anything related to coding and software. I’ll try to keep things interesting and for the most part, easy to understand – even as a beginner. The second section of the site will be about travel adventures, such as the people I meet or the places I’ve been too. To me, this will be a replacement for Facebook posting. If you want me to post more personal topics, just let me know. This is new for me, so please bear with me as I’m still learning and understanding what topics and writing style to publish. I’d seriously love to hear any feedback, comments, and stuff you’d like me to write about. You can also email me at hello at timothymarois dot com.